It’s here, a comfortable hard hat. 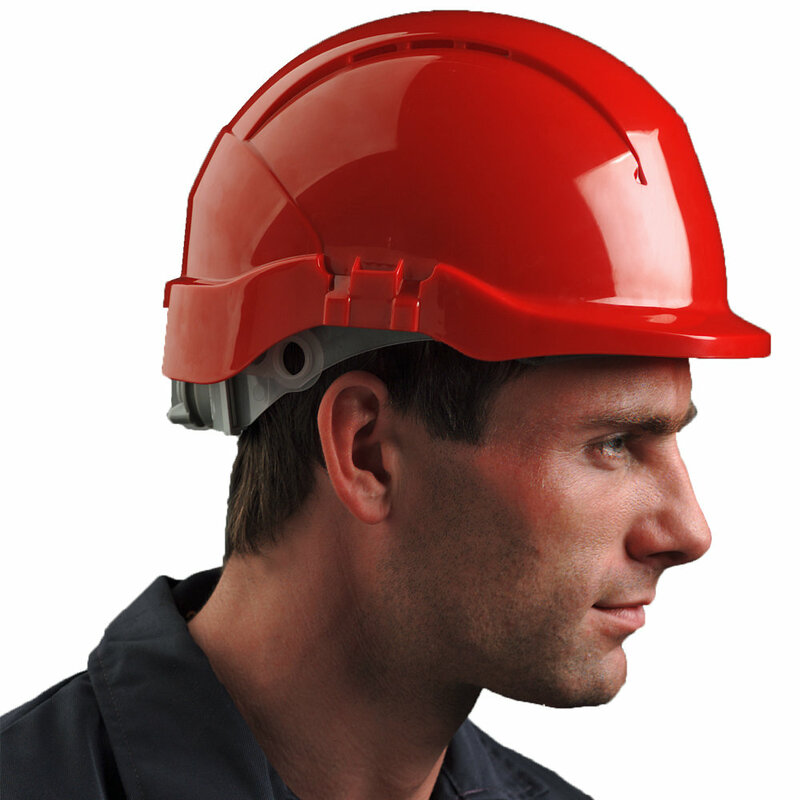 For too long, workers have had to suffer with heavy, hot, uncomfortable hard hats. The Concept Hard Hat from Centurion incorporates an incredibly strong and surprisingly lightweight shell, with a revolutionary ventilation system. We’re proud to call it the most comfortable hard hat, yet. The Concept weighs in at just 11 ounces. That’s 20% lighter than most other hard hats. 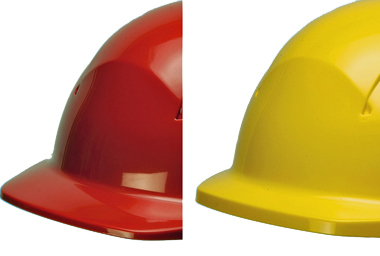 But, “lightweight” does not mean “light-duty.” The Concept meets ANSI Standards for head protection, providing the same protection as the less comfortable hard hat you’re wearing now. A lightweight shell of durable ABS features extended neck protection, a short brim for greater upward visibility, and of course, a comfortable fit. 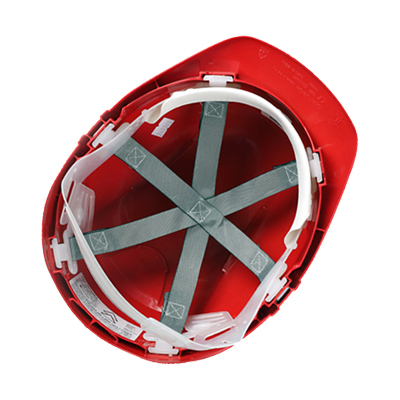 Other vented hard hats are made by taking an old-style hard hat and adding a few holes to the top. 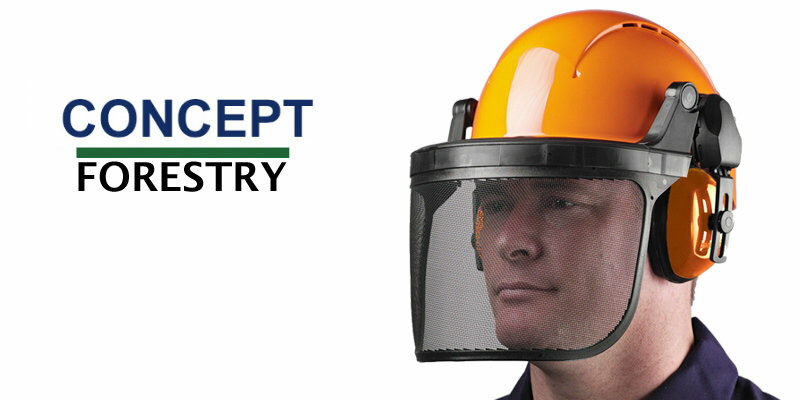 The Concept hard hat was designed and engineered with a ventilation system in mind. Air is channeled through and out the hard hat, bringing in cooler air, while allowing hot air to escape, keeping you cooler and more comfortable. Our suspension system is another reason why the Concept is so comfortable. 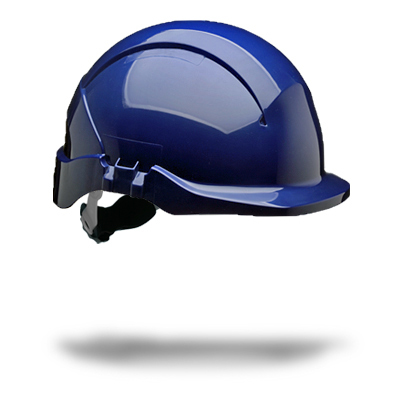 Every Centurion hard hat is fit with a 6-point suspension, which offers uniformly distributed support and promotes a balanced fit. Our headband is soft, pliable, and flexible. 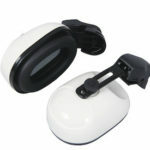 This minimizes pressure points, which allows for a more secure fit with our standard or Twist2Fit Ratchet adjustment. Finally, the Dry-Tech sweatband is the result of extensive testing to achieve the perfect balance between absorption and drying. 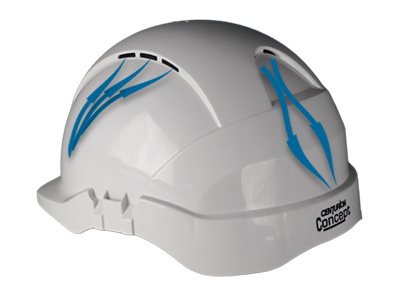 The Concept is available with a shorter brim, ideal for use in tight spaces or when greater upward visibility is desired. Includes clear or tinted Integrated Safety Glasses, Ear Defender Hearing Protection, full face shields, High-Intensity Reflective Stickers, LED Headlamp, 2-point and 4-point Chinstraps.